NEW WESTMINSTER, BC – Steel & Oak Brewing has announced the release of its second collaborative beer with Four Winds Brewing. Our head brewer Eric loves going to spice shops. On one of his excursions he came across a spice called Amchoor. Amchoor is a fruity spice powder made from dry unripe green mangos, popular in Indian cuisine. It’s fruity, citrusy, and tart. This spice is where The Fraser began. After some back and forth it was decided that Four Winds would bring Sacch Trois yeast and some Cashmere fresh hops, we added Azacca, Citra and Mosaic to pack an aromatic punch of tropical fruit into this beer. The Fraser has mango and fruit notes on the palate and finishes with a tart funk from the Amchoor and Sacch Trois yeast. 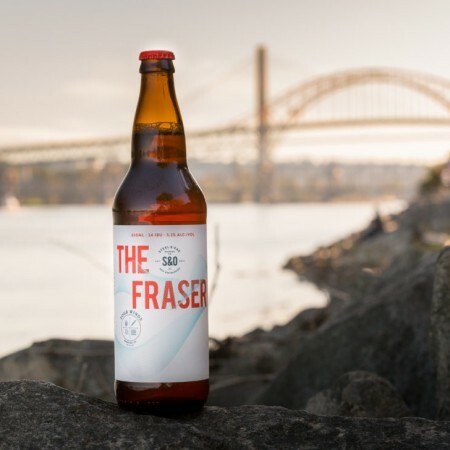 The Fraser will be available to sample at the BC Beer Awards this weekend, and bottles will be shipping to select private liquor stores in British Columbia next week.